Paintings by Juan Kelly at Spiva Art Center in Joplin. 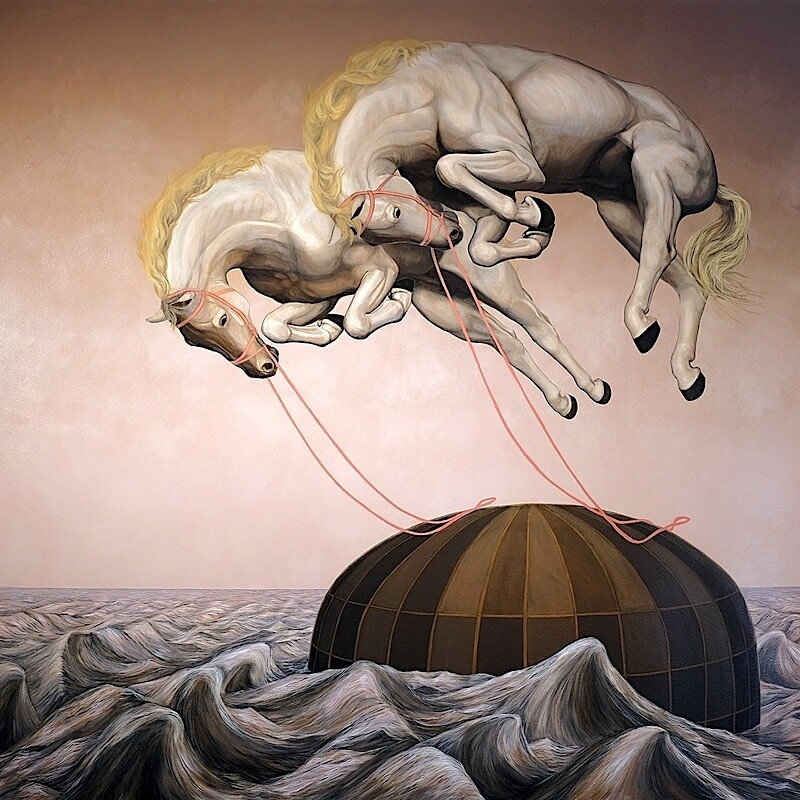 Opening January 14 and running through February 19 at the George A. Spiva Center for the Arts in Joplin: "The Reins," featuring paintings by Juan Kelly. Challenging our perceptions of reality, Juan Kelly’s artwork refuses to offer tidy resolutions to the questions posed. Utilizing the formal elements and techniques of old master paintings, Kelly constructs an enigmatic world that confronts our penchant for the familiar. Transported beyond stereotypical convention, Kelly’s paintings mine the fertile territory of our collective subconscious and introduce us to layers of nuance and double entendres. The opening reception is Friday Jan.13 from 5:30 to 7:30pm, and Juan Kelly will give an artist talk Saturday the 14th from 10:30 to 11:30am.